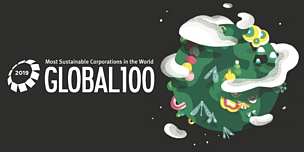 During the World Economic Forum in Davos, Switzerland, the Canadian magazine Corporate Knights launched the 2019 Global 100, a list that ranks the 100 most sustainable corporations in the world. Among the highlights, is Banco do Brasil, the only Brazilian company in the top 10 list and considered the most sustainable financial institution in the world according to the evaluation. To make the ranking, Corporate Knights reviews annual financial data and sustainability reports and interviews 7,536 companies from 21 different countries. This is already the fourth time Banco do Brasil has been ranked among the most sustainable institutions in the world. 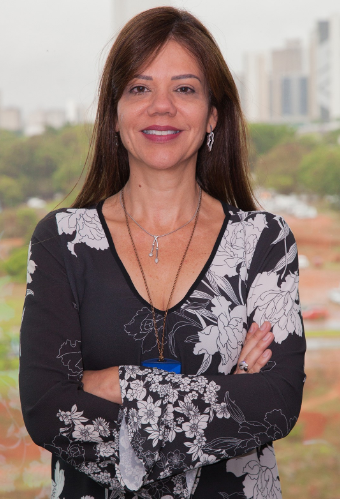 "Being at the top of this ranking as the world’s most sustainable bank reinforces that we are on the right track for corporate sustainability" celebrated Ana Maria Macedo, Executive Manager of Sustainability and Innovation at Banco do Brasil. Ana Maria refers to BB's growing investment in the Green Economy sector, which seeks to reduce carbon emissions, efficiency in the use of natural resources and the incessant search for social inclusion. The bank has invested around US$ 52 billion in the sector, including funds for the Water Brazil Program, a nearly 10-year partnership between Banco do Brasil, the National Water Agency, Banco do Brasil Foundation and WWF-Brazil. Together, the four institutions work to ensure water security; to improve the environmental management and eco-efficiency system of Banco do Brasil; and to foster the country's transition to a green and inclusive economy. Elaborated, together with stakeholders from each sector, Sustainability Guidelines for Credit, which help the bank in financing for eight sectors of the Brazilian economy, such as agriculture, energy and transportation. Accomplished, together with stakeholders from each sector and using WWF's Supply Risk Analysis tool, risk assessments for 11 Brazilian agricultural commodities, such as soy, coffee and livestock. Developed the Photovoltaic Project Calculator, an online, free and open access tool that consumers can use to identify opportunities to generate their own electricity and save money by using solar energy. Also created the Water Efficiency Calculator, an online, free and open access tool that identifies technologies applicable to water efficiency for 10 sectors of services and industry, as well as domestic use. "By developing tools that promote Green Economy, we promote better consumption and production practices and bring innovations to the financial sector in Brazil, helping the country grow in harmony with the conservation of natural resources" comments Mauricio Voivodic, Director Executive Officer of WWF-Brasil.